Discussion in 'Announcements' started by easy, Jun 12, 2017. 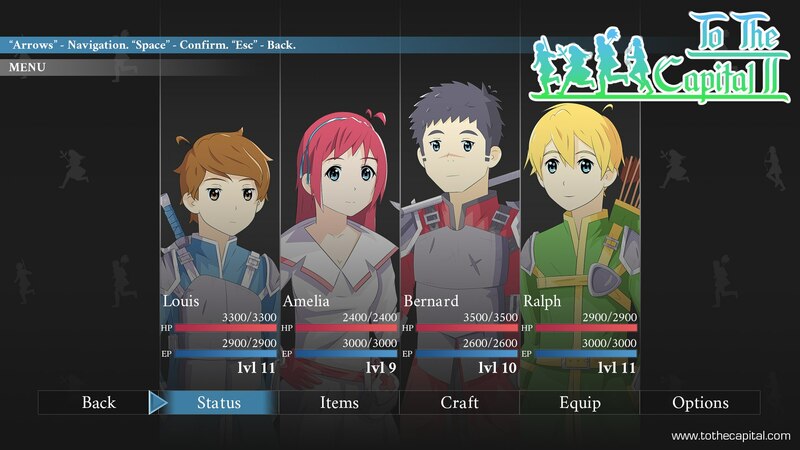 To The Capital II - is a game in the genre jRPG with classic turn-based battles in which you have to travel together with four heroes visiting many cities, dungeons, mysterious places and fight with various bosses. Prior to the overthrow of the current authorities and getting to the capital, Louis gets an assignment from the king to find fugitive participants in the failed coup. Together with Ralph, Bernard and Amelia joined by order of the command, they go on a journey through mysterious forests, snow-capped mountains and hot deserts. To date, partially prepared more than 50 locations and written more than 30 minutes of musical accompaniment. In the video you can see the forest location. Over time, it will appear opponents, as well as chests and items that can be used for crafting. We continue to work on locations. Added a movement animation on the diagonal. We are working on settlements. Redid the clouds and added a shadow for the character. I write the program part. We also work on locations and music. New town, loot, inn, trade and dialogs! New screenshots of the game process. A new character, equipment, the creation of objects from ingredients, use of items in inventory. We are preparing for a demo version in the coming months. 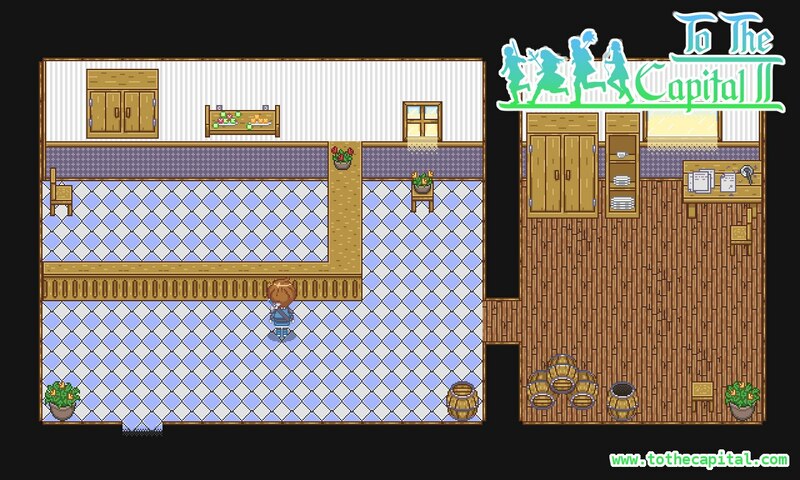 We work on the plot and finalize locations that will be present in demo. Added particles, working on the first cave that will be present in the demo. New video with the main theme of the game! A new video demonstrating an early version of the combat system is already here! In total, the game will have about 60 abilities in four classes. 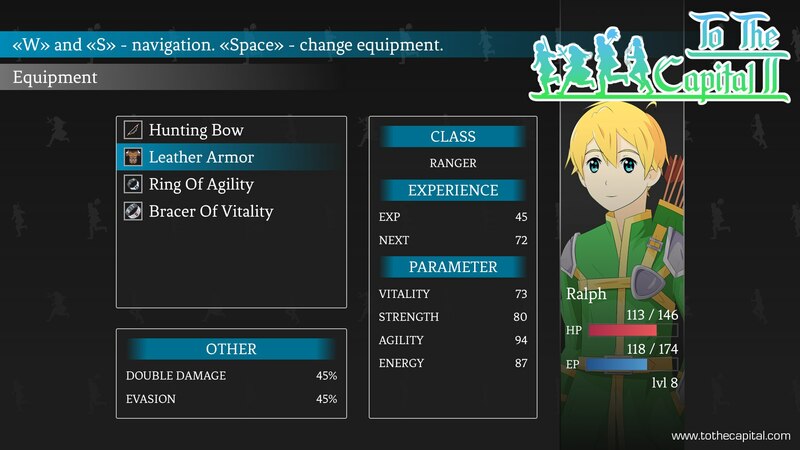 For example, Ralph will be able to shower all enemies with arrows, and Luis will go into a rage by increasing his own damage, but losing some of his defense points. Also, any player will be able to choose one of the three available difficulty levels. Fans of the plot and grind will be satisfied. We are also working on a color palette about which we will write next week. Thank you for watching the news! We worked on the color palette. Made our game more contrast. We continue to work on the combat system. Also changed the inventory window. Hi! It's been more than a year since the announcement of To the Capital 2. Today, finally, we are ready to show you a demo version that you can download by going to the game page on Steam. Tomorrow we start further work on the plot, locations and gameplay. Many thanks to those who continue to follow the news about To The Capital and share constructive criticism with us! Hello! We have completed work on the storyline. Now I'm creating locations. I think work on them will take from 40 to 60 days. Many thanks that follow our progress!